Affordable dental care service for everyone! A dental filling therapy means that the tooth parts affected by caries are removed, and in parallel the missing parts in the tooth are replaced by a binding material. Thanks to this procedure, the original condition and shape of caries-affected teeth are easily recoverable. When filling larger tooth holes, an inlay can be used instead of a tooth filling. 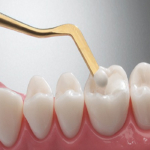 Inlays are different from dental fillings in that a single binding material is used as the filling material during filling, so in the case of inlays and onlays in the dental laboratory, a form perfectly touching the tooth is produced, which is attached to the tooth by means of a special adhesive. What should happen to the existing amalgam filling? The fact that amalgam fillings are no longer in fashion is due to the mercury content of the fillings. Since scientific studies could not prove, as claimed by opponents of amalgam fillings, the mercury – which is known to be a poisonous metal – in small quantities dissolve from the amalgam filling and thereby poisoned the organism. Today, the replacement of the entire amalgam filling is for aesthetic reasons or because the existing filling no longer closes accordingly. already possible. After removal, the amalgam filling can be replaced with up-to-date composite material or an inlay. Dental veneers are thin sheets made to measure with materials of the color of the enamel that cover the front surface of the teeth to improve their appearance. They are probably the best treatment in aesthetic dentistry that currently exists, since they allow to modify almost all the characteristics of the teeth: color, shape, size and length. Dental veneers can be made of porcelain or composite resins (composite). Porcelain veneers resist stains better than composite veneers, are more durable and better mimic the luminosity properties of natural teeth. On the other hand, composite veneers are thinner and do not usually require the removal of part of the enamel, as required by porcelain. Dent Al professionals are responsible for studying the characteristics and needs of each patient to recommend the best treatment option based on a personalized diagnosis. What problems can solve the veneers? – Discolored teeth: although they can solve any type of dental stains, they are especially indicated in those cases that can not be resolved by means of tooth whitening such as staining by endodontic treatment, by tetracycline or by the presence of unsightly restorations. – Broken or chipped teeth. – Teeth misaligned or uneven: they can align slightly crowded smiles and balance the shape of the teeth. – Teeth with spaces between them (they close the diastemas). 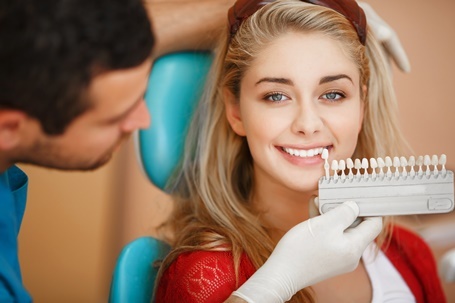 Treatment with dental veneers usually requires four visits to the dental clinic: a first to make the diagnosis, the second to perform an aesthetic test and preview the result following a diagnostic wax and two more to make and apply the veneers. Diagnosis and treatment plan: you are the protagonist of the first visit. At this appointment you must inform the dentist of the aesthetic results you would like to achieve. From there, the dentist will examine your teeth to make sure you are a suitable patient to receive dental veneers and will discuss the most appropriate treatment for you. 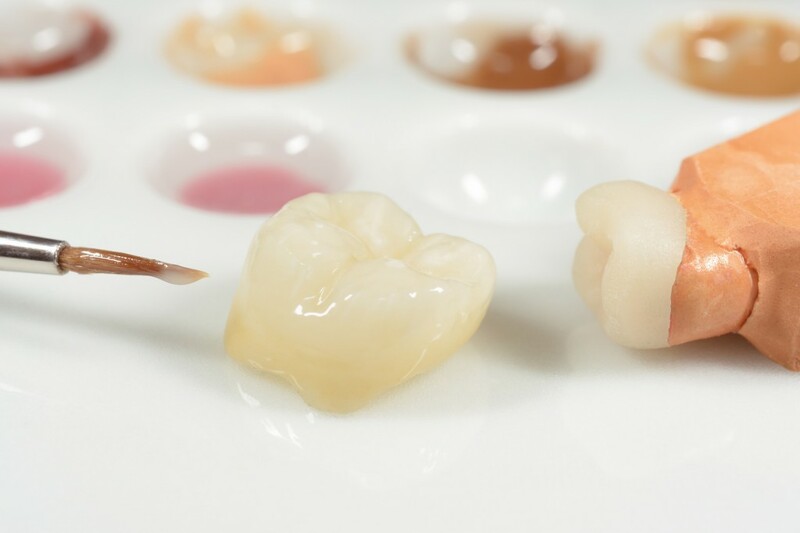 Mock-up aesthetic test: A diagnostic wax is made from which we can perform an aesthetic test in the mouth of how the veneers will look. After the test, the professional assesses with you the shape, color and position of the new restorations. Preparation: if you have indicated the composite veneers without the need to remove tooth enamel, in this second visit will be carried out the manufacture and placement of the veneers. If, on the contrary, you should receive porcelain veneers, this visit will serve to prepare your teeth and take the necessary impressions to manufacture the custom veneers. 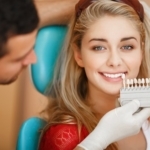 You will be given temporary veneers until the next visit. Placement: One or two weeks later the veneers will be manufactured and ready to be placed. After checking that they fit perfectly, they are fixed to the teeth and the result is checked. Getting the smile you’ve always wanted is possible thanks to dental veneers. Gums protect and support your pearly whites and the tissue that holds them to the bone. When your gums aren’t healthy, you risk losing those teeth — and damaging your overall health. What is the difference between dental crowns and dental bridges? Crowns are cemented to the abraded surface of one’s own teeth or to those of the inserted dental implants and provide an esthetic denture that gives the patient the feeling of being safe – to be able to chew, speak and smile without any worries. In dentistry, a bridge is a denture that is made when one or more teeth are missing and the gaps can be “bridged” with a coherent construction. The adjacent healthy teeth must be sanded down and crowned as bridge abutments. A dental bridge can therefore be considered as an extended form of the dental crown. Alternatively, “artificial teeth”, ie dental implants, can serve as bridge abutments. When are dental crowns useful? Dental crowns are used in large-scale damage to natural teeth to restore the original tooth shape visually and functionally. Such damage can be caused by tooth decay or by mechanical action , such as the breaking of tooth substance by a blow or shock. Such damage is not only an aesthetic but also a functional problem : a tooth damaged or broken by caries does not look nice and can have a negative impact on self-esteem, so keeping a nice smile is important, and using services like teeth whitening in Montreal could also help with this and make your smile looks greater than ever. On the other hand, it can no longer fulfill its function optimally, there may be problems with biting off and chewing, possibly also when speaking, in particular the formation of certain sounds. 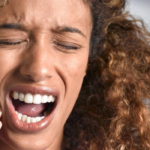 If no treatment is given, this can later lead to dysfunction of the temporomandibular joint or an altered bite position. Thanks to tooth crowns, those affected are able to chew, talk and laugh without worries – just like with their own teeth.